Land surveying is a rewarding career. If you have considered entering the field of land surveying, you may wonder exactly what the job entails. Many people are drawn to this career because it offers a much-sought-after benefit: the ability to work outside at a high-level job that isn’t labor-intensive. After all, not everyone enjoys being cooped up in an office all day. At its most basic, the job of surveying is measuring land. The purpose is often to certify property boundaries, whether due to the sale of land, the start of a construction project or for another purpose. Although the word “land” is in the job title, surveyors often certify water and air boundaries as well. The job of a surveyor takes them to many locations — some remote — depending on the area in which they work and the type of surveying the firm does. Surveyors usually work in teams, setting up tripods, levels, and theodolites to measure angles and distances. They may also use GPS devices, special measuring ropes, wheels, drones, and total stations. Although surveying has been done for thousands of years, some recent technological advances have changed the profession significantly. For instance, a geographic information system is sophisticated technology that facilitates 3-D mapping techniques. This is especially helpful on projects in which much of the terrain is forested. Tree density can have a major impact on development plans. An important tool that has changed the field of land surveying is the 3-D laser scanner. Previously, land surveyors had to use physical measuring tapes, which were not only cumbersome but oftentimes almost unworkable on rough terrain. The new laser scanners cut the job time exponentially, and are more accurate to boot. GPS technology has also been revolutionary in the land surveying field. These satellites, accessible from any location on unobstructed terrain, provide previously unachievable accuracy and offer the convenience of setting up equipment and stations farther apart since the technology means it is no longer necessary to have each station in sight of the other. While new technology sometimes seems almost magical, when you’re out in the field, it’s apparent that these tools are not omnipotent. A simple tree or building can throw off the results provided by certain modern tools, and at these times, a surveyor must fall back on traditional, time-tested measuring devices. For this reason, land surveyors today must be well-versed in a wide variety of modalities, including physical tools, laser technology, drone operation, and sophisticated computer programs. Oftentimes, before even starting the job, surveyors must do research on any previous surveys or land records, which may be found at town or city halls or courthouses. Once they have this basic information, they can work off of it to check accuracy and for any possible changes. When onsite, surveyors record their measurements and use them to prepare written reports for clients later, so part of their job is accomplished in an office in front of a computer. Many surveyors find this makes for a good work balance, however, since the demands of negotiating rough terrain in sometimes unpleasant weather might be difficult to do 40 hours per week. Besides surveying land for property owners and developers, surveyors also may do construction surveying. This is helpful in the planning of roads and buildings since the slope and grade of the land can affect the level of difficulty — or even possibility — of some construction projects. They also take into account any underground portions of the project that might be influenced by the geography of the property, such as the type of soil or presence of bedrock or streams. Construction surveyors are often needed throughout a project. Forensic surveyors work in tandem with the legal system. Using their particular skills and techniques, they can help reconstruct a crime or accident scene. They can also provide critical information relative to storm damage, and evaluate the potential threat of environmental factors. These professionals provide reports to law enforcement, insurance companies, government agencies, or other involved agents. A hydrographic surveyor surveys land in and around bodies of water. This includes mapping coastlines, riverbeds, and sea floors. This information is helpful to the Navy and other seamen, but also to developers planning waterfront projects or governmental bodies that are building bridges or other structures near the shore. In the case of bridges especially, the makeup of the land under the water can be critical; i.e., whether it is sand, clay, mud, etc. These surveyors measure water depth, mark the patterns of erosion and assess navigational risks as well. Environmental surveyors map undeveloped land, often pinpointing areas populated by an endangered species. They may also survey areas contaminated with hazardous materials or those affected by storm, flood or fire damage. A bachelor’s degree is not required to become a land surveyor; however, it is helpful. Years ago, on-the-job training was the preferred method of becoming a land surveyor. However, the technology of the times was not nearly as sophisticated as it is today; thus, some formal training is enormously helpful and in fact, is required in some states. Types of bachelor’s degrees earned by those in the land surveying field include technology and innovation management, and engineering and technology management. Coursework focuses on math and sciences and can include topics such as photogrammetry, satellite imagery, data analysis and adjustment, and Geographic Information Systems. An associate’s degree is more common in the field of land surveying. You can earn an associate’s degree in land surveying, mapping sciences, surveying technology or a comparable course of study. When pursuing this degree, students spend most of their time outside the classroom learning principles of drawing, mapping, measuring, and collecting and analyzing data. Further, many states require surveyors to have a degree from a school that is accredited by the Accreditation Board for Engineering and Technology. ABET confers accreditation for applied and natural science, computing, engineering and engineering technology programs at the associate’s, bachelor’s, and master’s levels. 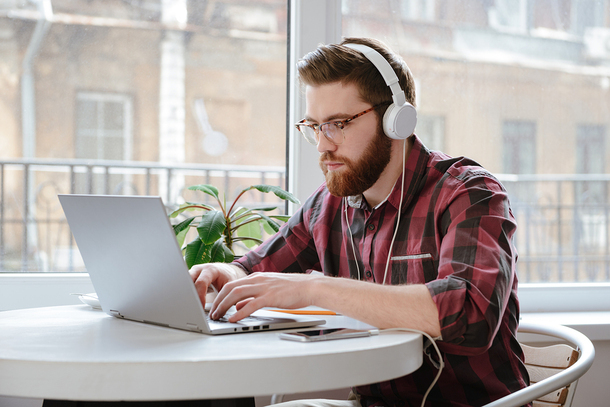 Check out this list of ABET-accredited online programs. 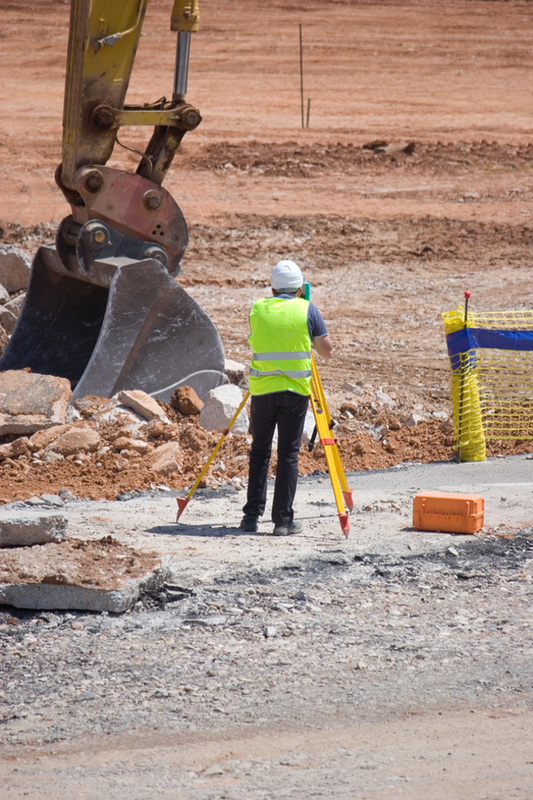 Regardless of whether you obtain an associate’s degree or a bachelor’s degree, you will need to take the Fundamentals of Surveying exam to be eligible to get licensed to work as a surveyor in your state. This is because the work that a surveyor does is often used in court or recorded in land deeds. Each state has its own requirements and licensing board, so check the regulations in your state before embarking on fulfilling your obligations. The National Council of Examiners for Engineering and Surveying provides more information on licensing requirements. A big component to getting your license as a land surveyor is experience. Not unlike the architecture field, while classroom learning and coursework are prerequisites, practical experience is necessary. Four years of working under a licensed surveyor is a common requirement before becoming eligible to take the licensure exam to work as a surveyor. 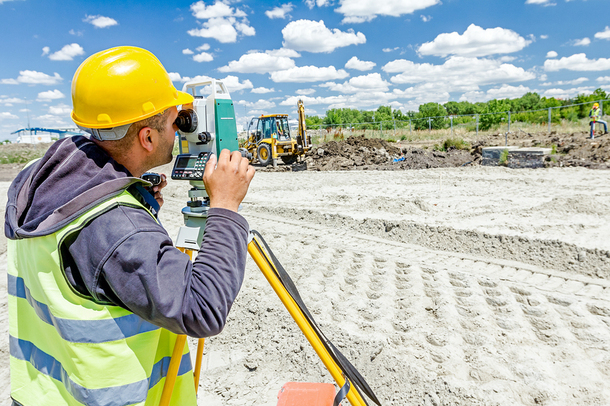 While there is no substitute for experience, some states may allow aspiring land surveyors to forego an educational degree in exchange for extra years of experience. In these cases, you often work as a surveying or mapping technician for a number of years before attempting to secure your license as a land surveyor. In this capacity, you would earn approximately $43,340 per year or $20.84 per hour. Once you have completed your required years of training, you then must pass the Principles and Practice of Surveying exam and a state-specific exam as well. How Much Do Land Surveyors Make? The National Bureau of Labor Statistics estimates the median pay for land surveyors in 2017 was $61,140 per year or $29.40 per hour. The number of people working in the job in 2016 was 44,800. The BLS estimates job growth in this field will be 11 percent through 2026, which is faster than the average growth rate of 7 percent. Take your land surveyor continuing education classes online with PDH Academy. Once you become a certified land surveyor, you will need to complete a certain number of hours of land surveyor continuing education periodically in order to renew your license. PDH Academy offers many land surveyor continuing education classes. Some of our courses are two hours long while others are as long as 30. Check the requirements in your state to find out how many hours of continuing education classes you need to keep your land surveyor license active. PDH Academy also conveniently offers class bundles to save you money. We offer three separate bundles — A, B, or C — that provide 16 hours of continuing education each. Bundle A offers three classes: Specifications for Descriptions of Land, The System of Rectangular Surveys, and Placeholder Fundamentals of Property Rights and Boundaries. Bundle B offers four: Planning and Processing Surveys for Civil Works Projects, Survey Markers and Monumentation, Fundamentals of Corner Restoration, and Construction Surveying — Curves. All of our land surveyor continuing education classes are offered online, providing you with the convenience of working to obtain your recertification in the comfort of your own home, at your own pace. Check out our land surveyor continuing education class offerings today, and see how fast and easy it is to fulfill your state’s requirements. Take a look all of our PDH approved courses here.